Stores reference 22c/7744677. 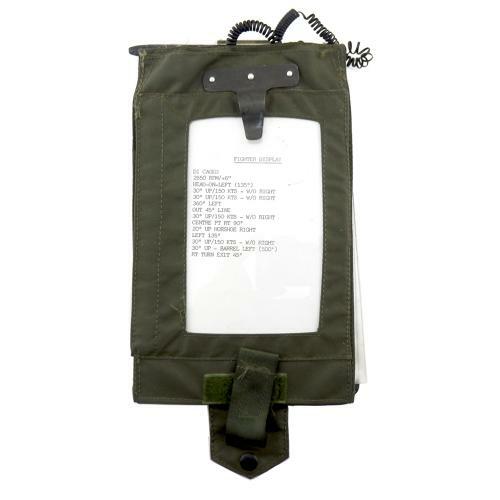 By Beaufort Air-Sea Equipment Ltd. Knee Board, Aircrew Mk.1. With clear 'window' pocket at the front and ring bound pages beneath. Adjustable straps to rear. Worn on the leg over the fyling suit. This example came directly from a pilot who flew Lightnings, Phantoms and Tornado jets. He also flew the Spitfire and Hurricane as part of the Battle of Britain memorial flight. Very good used condition. Stock code M23198.